In the view of parliament elections coming very soon in the state of Telangana, a lot of leaders from different parties are looking at joining the ruling party TRS. But a senior most Congress leader from the Telangana state has done something different this time. DK Aruna who has been active and vocal in Telangana politics for a long time now has decided to jump into BJP. She has recently met BJP national leader Ram Madhav and spoke about 45minutes. Later it is believed that D K Aruna also spoke to BJP national president Amit Shah. Amit Shah is reportedly said to have assured a great political life for D K Aruna in BJP. 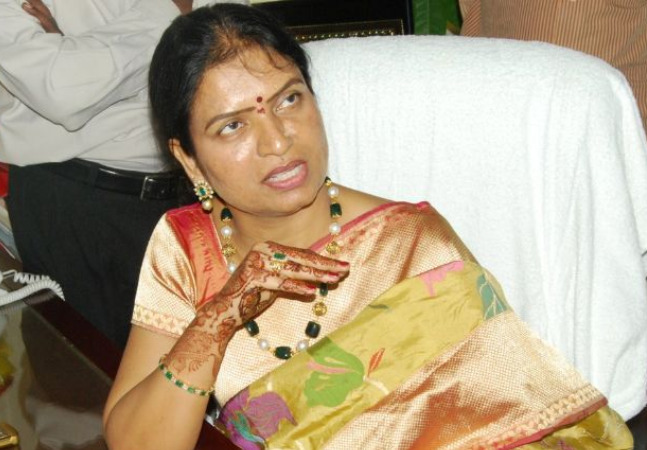 If the rumors in the political circles are believed to be true, D K Aruna is said to be contesting for the parliament from Mahabubnagar constituency. She tasted defeat in 2018 assembly elections from Gadwal Constituency.On the other side, we have reports that Khammam MP Ponguleti Srinivas Reddy is also looking forward to joining BJP. Why PK team left before the AP results out? YS Jagan never ever went to any other are office to meet. After the completion of polling in Andhra Pradesh, Jagan went to Prashant Kishore’s office to conduct the discussion after the poll. Prashant Kishore team gave PPT presentation to Jagan on polling trend in AP. Sai is a fantasy author who swims in the occult. His latest favourite book is Cult of Chaos, a tantrik detective thriller.